Béla Bartók, the great Hungarian composer, was one of the most significant musicians of the twentieth century. He shared with his friend Zoltán Kodály, another leading Hungarian composer, a passion for ethnomusicology. His music was invigorated by the themes, modes, and rhythmic patterns of the Hungarian and other folk music traditions he studied, which he synthesized with influences from his contemporaries into his own distinctive style. Bartók grew up in the Greater Hungary of the Austro-Hungarian Empire which was partitioned by the Treaty of Trianon after World War I. His birthplace, Nagyszentmiklós (Great St Nicholas), became Sînnicolau Mare, Romania. After his father died in 1888, Béla’s mother, Paula, took her family to live in Nagyazöllös, later Vinogradov, Ukraine, and then to Pozsony, or Bratislava, in her native Slovakia. When Czechoslovakia was created Béla and his mother found themselves on opposite sides of a border. A smallpox inoculation gave the infant Béla a rash that persisted until he was five years old. Because of this he spent his early years in isolation from other children, often listening to his mother playing the piano. Béla showed precocious musical ability and began to compose dances at the age of nine. The frequent moves of the family were motivated, in part, by Paula Bartók’s desire to obtain the best possible musical instruction for her son. At Pozsony Bartók studied piano under distinguished teachers. He taught himself composition by reading scores. 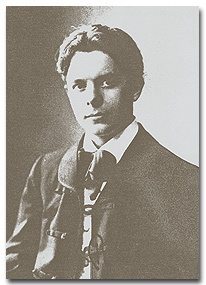 Under the influence of composer Ernö Dohnányi, four years ahead of him in his school, teenage Bartók wrote chamber music in the style of Brahms. In 1899 Bartók followed Dohnányi to the Academy of Music in Budapest. While at the Academy Barták heard a performance of Richard Strauss’s Also Sprach Zarathustra, which showed him, as he later recalled, “there was a way of composing which seemed to hold the seeds of a new life.” Combining his new enthusiasm for Strauss with his youthful Hungarian nationalism, in 1903 Bartók produced his first major work, the symphonic poem, Kossuth, honoring Lajos Kossuth, hero of the Hungarian revolution of 1848. After graduating from the Academy Bartók began a career as a concert pianist. During his adult life Bartók performed in 630 concerts in 22 countries. In 1907 he became a piano instructor at the Budapest Academy. 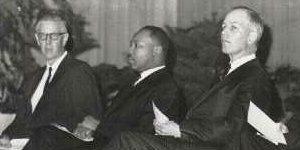 Although he did not especially care for teaching, he remained in this post for more than 25 years. His most notable contributions to pedagogy were the teaching editions he made of the works of Bach, Haydn, Mozart, and Beethoven and the pieces he composed for children. In 1904, while staying in the Slovakian countryside in order to practice and compose, Bartók overheard Lidi Dósa, a Székely Hungarian woman from Transylvania, sing the song Piros alma (“Red Apple”). He then interviewed her to find out what other songs she knew. This encounter was the beginning of Bartók’s lifetime fascination with folk music. Two years later Bartók was introduced to Kodály, who soon became his closest friend. Kodály had already begun to collect recordings of Hungarian folk music using an Edison cylinder. Bartók began his collecting in Hungary’s Békés County in 1906. Unlike Kodály, Bartók also became interested in other folk traditions, studying the folk music of Romanians, Slovakians, Serbs, Croatians, Bulgarians, Turks, and North Africans as well as Hungarians. 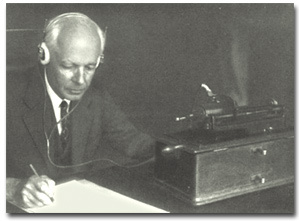 In 1906, while visiting Algeria, Bartók had a vision of how he might begin to order scattered folk tunes of the world. This, as he recalled, ended any desire on his part for the kind of career others had projected for him, as “the future master of the most charming salon music.” Afterwards, the main task of his life was to collect, analyze, and catalogue major portions of the world’s folk music. 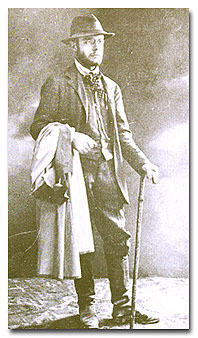 Bartók in traveler’s costume before making his first trip to Transylvania to study ethnic music. In 1907 Bartók made his first trip to Transylvania to study the Székely people who had developed in isolation from other Hungarians and might, thus, have preserved some of the more ancient traditions. While he was staying amongst these people, Bartók first became acquainted with the Unitarian Church. Bartók listening to collected folksongs. In 1909 Bartók married Márta Ziegler. Their son, Béla Jr., was born in 1910. In the presence of his son Bartók declared his conversion to Unitarianism on July 25, 1916, and joined the Mission House Congregation of the Unitarian Church in Budapest in 1917. Formal church affiliation enhanced Bartók’s prospects for additional employment and enabled his son to avoid otherwise mandatory Catholic religious instruction. Father and son attended the Unitarian Church regularly. Bartók was briefly the chair of a music committee, but was not a success in this role. He had strict and conservative ideas about church music and would have forbidden the use of any instruments other than an organ. Bartók’s personal philosophy was stoic and pessimistic. He held himself apart from others, independent of the ambitious struggle after “trifles.” As a consequence he felt lonely. In his first mature work, the opera Bluebeard’s Castle, Bartók translated his own sense of profound spiritual isolation into music. He pursued the same theme in the fairy-tale ballet The Wooden Prince, 1917, and the ballet-pantomime The Miraculous Mandarin. Written in a more dissonant musical style than his earlier dramatic works, The Miraculous Mandarin tells a sordid modern story of prostitution, robbery, and murder. After its première in 1926 the audience stormed out in a rage and further performances were banned. The conservative Hungarian musical establishment, who preferred music more in the vein of Brahms and Liszt, resisted Bartók’s music. In his dramatic works, Bartók collaborated with writers out of favor with the government. This fact, too, contributed to his lack of acceptance. By this time, however, Bartók’s international reputation was secure. His two violin sonatas, 1921 and 1922, and the Dance Suite, written in 1923 for the fiftieth anniversary of the unification of the city of Budapest, helped to establish him as an important modern composer. In 1926 he composed aseries of major works for piano, including the first of his three piano concertos. His third and fourth string quartets, from 1927 and 1928, in Bartók’s most abstract and concentrated style, are among the works most often cited as masterpieces by music critics. In 1923 Bartók and his first wife Márta were divorced. Bartók immediately married a piano student, Ditta Pásztory. They had a son, Péter, born in 1924. For Péter’s music lessons Bartók began composing a six-volume collection of graded piano pieces, Mikrokosmos. 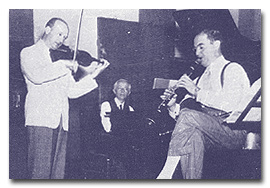 Recording Contrasts with Jospeh Szigeti and Benny Goodman in April of 1940. Bartók did not like the fascist régime that governed Hungary during the inter-war period. 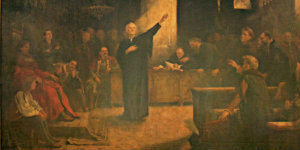 In 1919 he and Kodály were temporarily suspended from their Academy posts for political reasons. 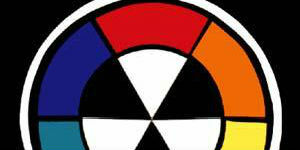 In the 1930s Bartók refused to perform or to have his works broadcast in Nazi Germany or Fascist Italy. He even largely avoided playing in Budapest. In 1931 he went to the French Embassy to accept the Légion d’honneur but, when awarded the Corvin Medal that same year, stayed away from the award ceremony because he would have had to accept it from the hand of Hungary’s dictator, Admiral Horthy. 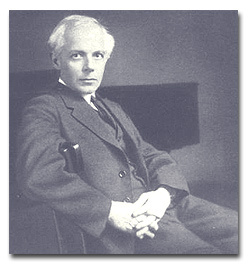 Much of the music for which Bartók is remembered was written in the 1930s, often in response to commissions from abroad. 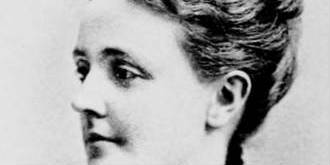 He wrote his fifth string quartet, 1934, for the American Elisabeth Sprague Coolidge. For the Swiss conductor Paul Sacher he composed Music for Strings, Percussion, and Celesta, 1936, the Sonata for Two Pianos and Percussion, 1937, and Divertimento, 1939. Clarinetist Benny Goodman commissioned Contrasts, for clarinet, violin, and piano, 1938. Two other major works of this period were a violin concerto, 1938, and the last string quartet, 1939. As the European political situation worsened, Bartók was increasingly tempted to flee Hungary. Having first sent his manuscripts out of the country, in 1940 Bartók sailed for America with his wife. 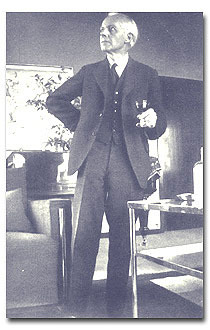 Péter Bartók joined them in 1942 and later enlisted in the United States Navy. Béla Bartók, Jr., remained in Hungary. Although he became an American citizen in 1945, Bartók thought of his stay in the U.S. less as emigration than exile. One attraction of the U.S. for him was the opportunity to study a collection of Serbo-Croatian folk music at Columbia University in New York City. January 21, 1937, after the first performance of Music for Strings and Percussion. There are reports that the Bartóks lived in abject poverty during their New York years. Although this is not strictly true, they did live in obscurity and were by no means comfortably well-off. When Bartók became ill with leukemia, the American Society for Composers, Authors, and Publishers (ASCAP) paid his medical expenses and helped him to get better treatment. To ease Bartók’s financial burden the conductor Fritz Reiner and violinist József Szigeti convinced the conductor Serge Koussevitzky to have his foundation commission an orchestral piece from Bartók. The result was Concerto for Orchestra, 1943, Bartók’s most popular piece. In 1944 he composed a sonata for solo violin, written for Yehudi Menuhin. Bartók’s last two major works, a third piano concerto, which includes bird calls and sounds of nature, and a viola concerto, both left unfinished at his death, were completed by his Hungarian colleague, Tibor Serly. 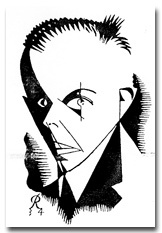 A caricature of Bartok from Radio Times, May 18, 1934. These late pieces caught the spirit of the times. 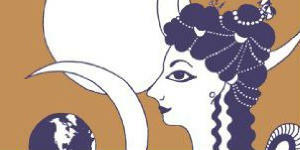 One 1946 review claimed “the music of Bartók ennobles all of music. And the contemporary world will soon be proud to say, ‘We lived in the time of Bartók. 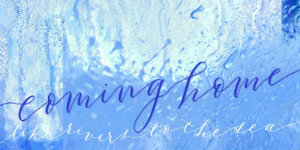 '” Many of his works entered and have remained in the orchestral and chamber repertoires. On September 26, 1945, Bartók died in a New York hospital with his wife Ditta and his son Péter each holding one of his hands. The funeral was conducted by Rev. Laurence I. Neale, minister of New York’s All Souls Unitarian Church. He was buried in Woodlawn Cemetery in New York. In 1988, as the “iron curtain” separating Eastern Europe from the West was being lifted, Béla Bartók, Jr., then lay president of the Hungarian Unitarian Church, was able to have his father’s remains transferred to Budapest. A statue of Bartók stands in front of the Second Unitarian Church in Budapest. Bayley, Amanda. The Cambridge Companion to Bartók. Cambridge: Cambridge University Press, 2001. Endnotes by Peter Hughes accompany the above text, as well as sound MIDI excerpts of Bartók compositions here.